Mental illness is regarded as the expansive mental health disorders that affect your moods, thoughts and characters. They consist of anxiety, depression, schizophrenia, phobia and addictions among others. Though it is normal to have mental health bothers, if they interfere with your normal functions, then there is need to raise an alarm. Persistent concerns as a result of mental sickness can negatively have an impact on your productivity and relationships at work or at home. What are the Warning Signs and Symptoms of Mental Illness? Sudden need for isolation and loss of interests in previously enjoyed occupations. Strange decline in performance in school or at work. This can be accompanied by a sudden loss of interest in a sporting activity. Impaired concentration and inability to comprehend or difficulties in making decisions. An increased sensitivity to the common senses i.e. touch, smell, sounds and sight. Lack of interest in participating in communal activities or apathy. Psychotic feelings and perceptions of ghostly life forms. Nervousness and anxiety coupled with unfounded fears of the unknown. Abrupt changes in appetite and fluctuating sleeping patterns. Sudden changes in moods and inability to take personal care such as bathing. What are the Mental Illness Facts? Nearly all mental related illnesses start below the age of 14. Depression is the leading cause of mental related illnesses worldwide. Close to a million people commit suicide annually due to mental illnesses with majority from middle-class and low-income families. Major events like war and natural disasters can trigger the occurrence of metal illnesses or depression. Mental diseases are among risk factors for both transmittable and non-transmittable diseases. Due to the fear of discrimination and stigma, most people with mental illnesses fail to seek professional assistance or share their feelings with friends or family members. Anxiety Disorders: these are classified with their triggers and include phobias such as homesickness (agoraphobia), Social anxiety disorders, generalized anxiety disorder (GAD) and panic disorders. 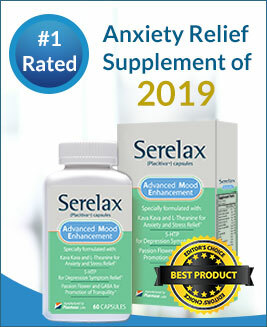 Check for Ridgecrest Anxiety Free Review, as this supplement may help to deal with anxiety. Behavioral Disorders: these refer to inabilities to portray up to standard behaviors in an occasion. They include Attention Deficit Hyperactivity disorder (ADHD). Mood Disorders: these are affective disorders characterized by constant feelings of gloominess alternating with feelings of joy. Depressive disorders are further grouped in to major depression, Dysthymia and bipolar disorder. Psychotic Disorder: these are characterized by distorted thoughts and imaginations. They include hallucinations and delusions. Eating Disorders: these are associated with cruel attitudes towards food or drinks. They include anorexia nervosa, bulimia nervosa and binge eating. Impulse Control and Addiction Disorders: impulse control disorders refer to inability to resist doing something that is considered to be dangerous of harmful. These may include an urge to steal (Kleptomania). Addictions refer to irresistible habits such as smoking. Other disorders include Personality disorders, development and cognitive disorders, adjustment disorders, etc. The prevalence of suicidal thoughts varies among people with gender, age and ethnicity. Researches indicate that over 90% of people who commit suicide suffer from depression or other mental related problems. In most cases, depressed people who abuse substances such as recreational drugs and alcohol are at a higher risk of committing suicide. Major depressions and mental illnesses can trigger suicidal thoughts if untreated. Identifying the cause of your depression or mental illness is the first step towards your recovery path. This can be assisted by your physician. You should start taking medication such as GABA Supplement and attend those scheduled counseling sessions. Sharing your emotions with people around you will serve in getting the best advice and motivation they can offer. May be their encouraging words and presences around you will take away the empty and lonely feelings that comes with depression and mental illnesses. Staying focused on the benefits of leading a normal life will be fulfilling and enjoyable. If you probably know someone suffering depression or mental illness, it is important to lend a helping hand. It would sound sad to witness another case of suicide or an attempted with the help at your disposal. The stigma associated with mental disorders makes it difficult for depressed people to share about their feelings only to die in silence. You can help them reach out to a professional and get support in coping with their situation. There are many organizations out there that conduct awareness campaigns in the fight against depression and mental disorders where you can channel your donations. Assisting such organization can go a long way in saving a friend or a loved one.